For a major announcement regarding Lincoln’s new brand direction, Ford Motor Company held a press event on Lincoln Center’s Plaza. Lincoln debuted the reinvention of the 90-year-old brand with a public premiere of the all-new Lincoln MKZ premium mid-size sedan and the new Lincoln experience that starts with a special message from Super Bowl great Emmitt Smith. META.is collaborated with Lincoln and Burson Marsteller to create an experience that gave New Yorkers a taste of the new brand qualities by presenting an innovative and interactive installation spearheaded by the creative team of Incredible Machines and design collaborators VolvoxLabs and CTRL. 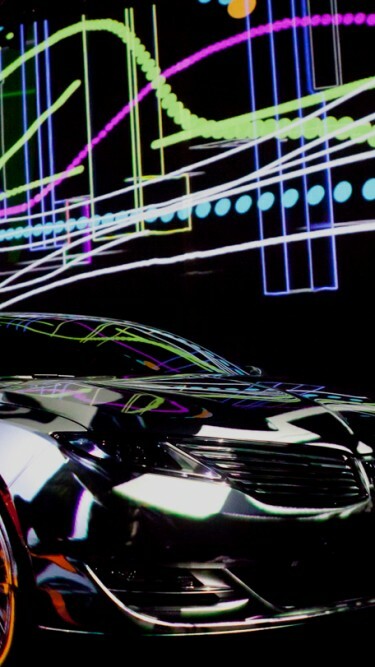 Open to the public, this one-day installation merged technology and design to highlight the new MKZ and culminated in a a special audio visual performance featuring projection mapping onto Avery Fisher Hall.